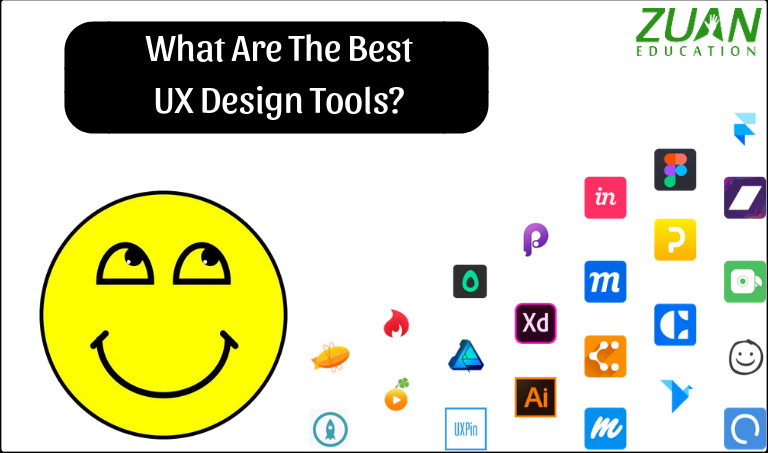 What Are The Best UX Design Tools? You have many multi-platform UX and UI design tools. That especially works both on Mac and PC. These tools prove to be more helpful for web designers who want to create a good digital design. Whimsical is a flow-chart design tool. It is easy to use. You have smart designs and shortcut keys. Dribbble can be used for your quick discovery of ideas. You can discover simple visual inspiration rather than system or product ideas. You have a well-curated community in Dribbble. The Muzli chrome app is a valuable tool. Muzli gives you Weekly Inspiration articles and UX interaction roundups. You can get interesting and diverse range of designs from these articles. Therefore, it will help you to discover something new always. Zeplin works good for your team effort. It can generate style-guides. Therefore, collaborators can grab hex values for colors or type styles. With Zeplin you can export designs as code. On the other hand, if you are working with other designers you will require version control. Version control is a concept of maintaining a history of changes to an asset. And for this Trunk would be very useful for you. Trunk is like Github for you. You can tell trunk which files you would like it to look after and it will monitor those files for any changes. When any changes are made, Trunk maintains a record of what kind of change was made and who made it. In turn, those who make the changes can comment on the update. This will help you to easily collaborate with other designers. The fun part is you can roll back changes. You can also handle conflicting changes in a non-destructive way and view the entire history of the file. We are again with Whimsical. But this time we are diving deep into its usages as a new wireframing tool. By just grabbing a few basic components and piecing them together you will get a rough layout in no time. With Whimsical you can also share your work with others, comment and get quick feed backs. Sketch is a great prototyping tool. It is specifically made for Mac OS X users. Many compare it with Adobe Illustrator. Sketch is 100% vector-based. Therefore it will never lose quality. Its pixel-snapping and alignment guides makes sure that everything is in the right place. With Sketch you can share with your team members or clients. Sketch can compress your file. This will make sharing with your co-workers or clients easy. Divide and conquer with a design assembly line. Doing all the above will transform your static screen to clickable and interactive prototypes. It can support files in PNG, JPG, GIF, AI and PSD format. Clients can provide feedback in the form of comments on your designs. You can easily update project’s progress through actionable to-do lists. With Atomic tool, you can program actual logic into your prototypes. This means your prototype doesn’t just look like an app but acts like your app. You can easily share and collect feedback on prototypes within the Atomic interface. It has extensive controls for creating high fidelity animated prototypes. It contains fine-grain control for adding interactivity to individual elements. In Adobe XD, XD stands for experience design. With this design and development tool, you can design websites, mobile apps and prototype and see your product preview in XD. You can easily control and customize your experience. You can get live feedback to iterate faster and preview on mobile devices. You can also work with third party tools. You can also preview XD tools in Dropbox. This tool eventually helps in your creative design process. You have some great idea in your mind and an art work to match. And eventually you want to sell your work. So how do you sell? Keynote is more advanced than Power Point and Google Slides. It gives you a good user experience. It has got great animation tools. You can easily explain your story behind your designs. You can record all the necessary details about your design. Confluence is an internal wiki with advanced permission features. You can drop in screens and user flows. Your business team can add acceptance criteria. It is a great tool. You can use the page as a resource to understand the logic and intentions of your design. The above list of tools can aid UX designers in various ways including your project management. Some tools have drag and drop facility, clickable prototypes, usability testing, rapid prototype and as testing tools. Moreover, these tools help in various designer prototypes. It will be apt to end this article on a happier note. The role of a Web Designer is very sought after in various software industries and MNCs. Hence the right time is, Now, for you to learn more about UX designer skills. You can also learn UX Design Course in Chennai if you are put up in or around the city. Learning UX design systematically from reputed institutions will accelerate your learning curve, make you industry ready and quickly fetch you a job.